What are you waiting for? Let knowledge come to you. - Founded in 1867, Leather International readership is a concentration of the most influential tanners and tannery related businesses in the world. - Leather International is the renowned industry source for news, chemical and beamhouse innovations, interviews with industry leaders and designers, and insight into legislative and regulatory shifts..
- Keep up-to-date with latest global market changes that affect everything from raw-material pricing and supply-chain integrity, to export and import volumes and consumer trends..
Don't be caught out by regulatory changes, request your FREE sample digital issue today. 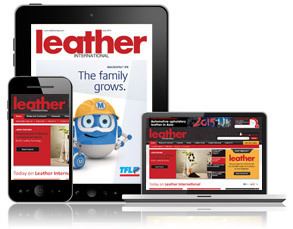 Complete the form below to receive your FREE digital copy of Leather International.